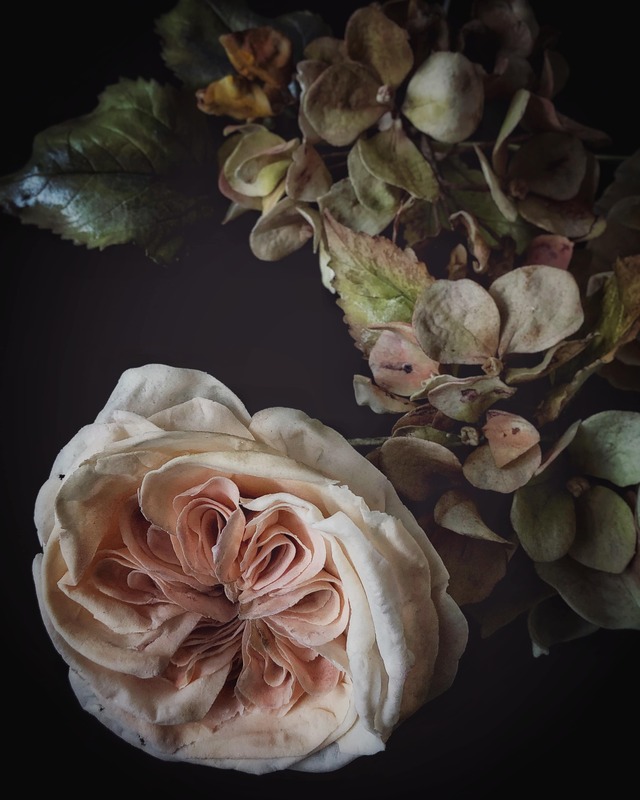 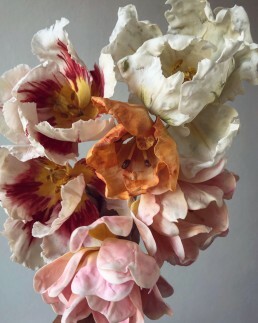 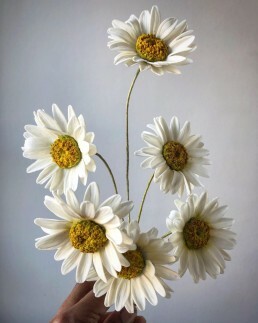 Flowers have always triggered my senses like nothing else; engaging sight, smell and sometimes even taste all at the same time. 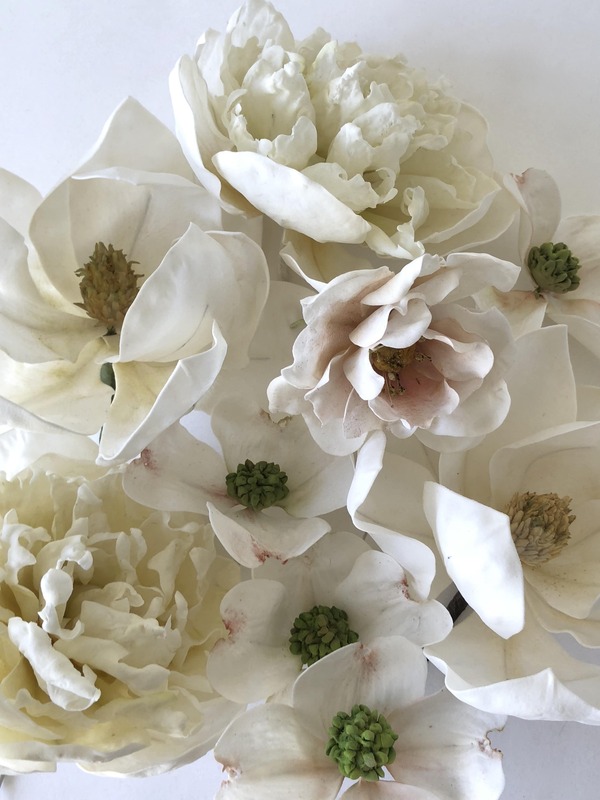 I believe it’s these senses that help us build lasting memories of the important moments in our lives, the moments we want to celebrate. Therefore my cakes are never complete without sugarflowers. 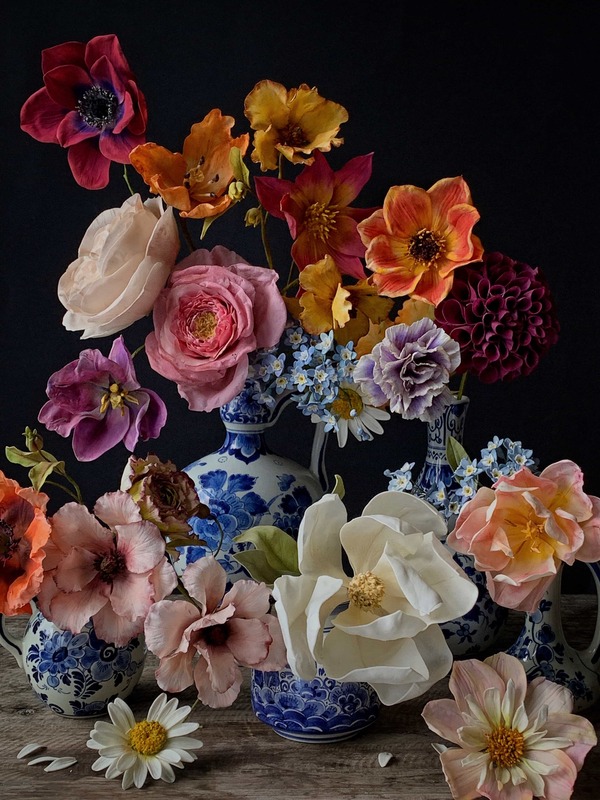 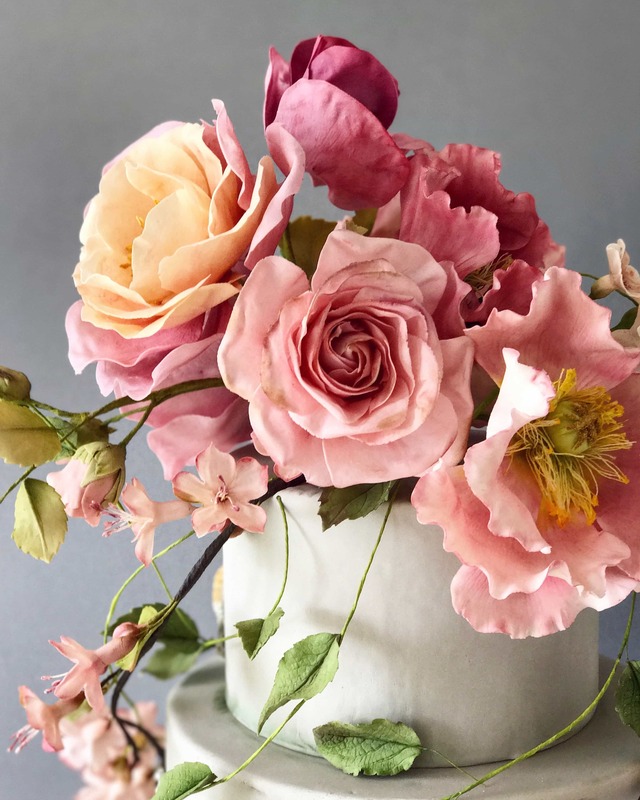 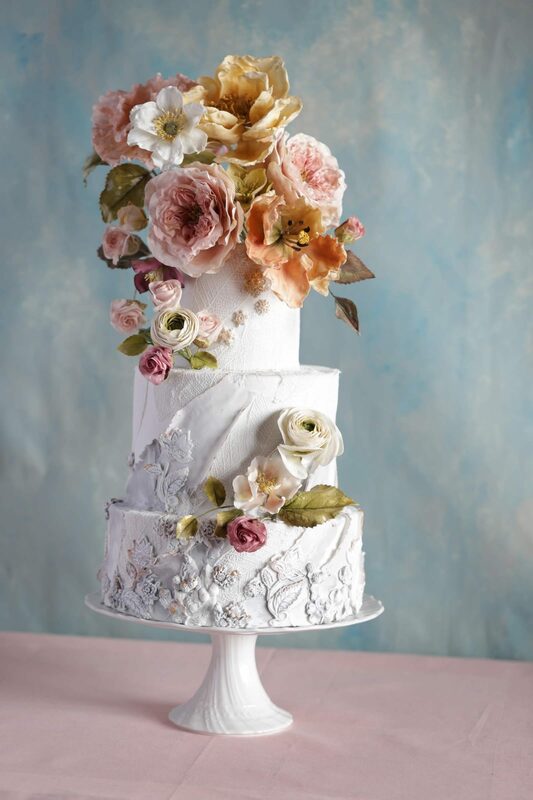 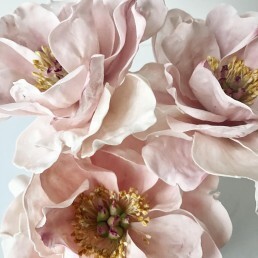 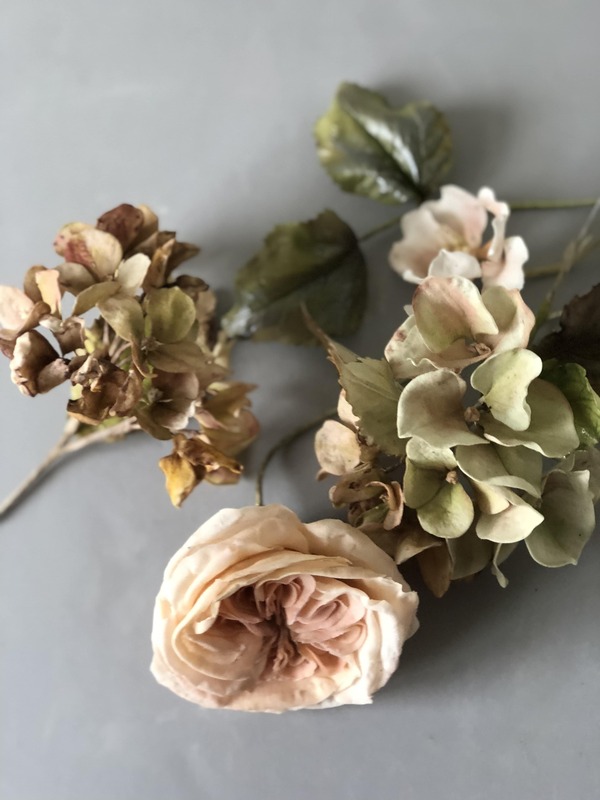 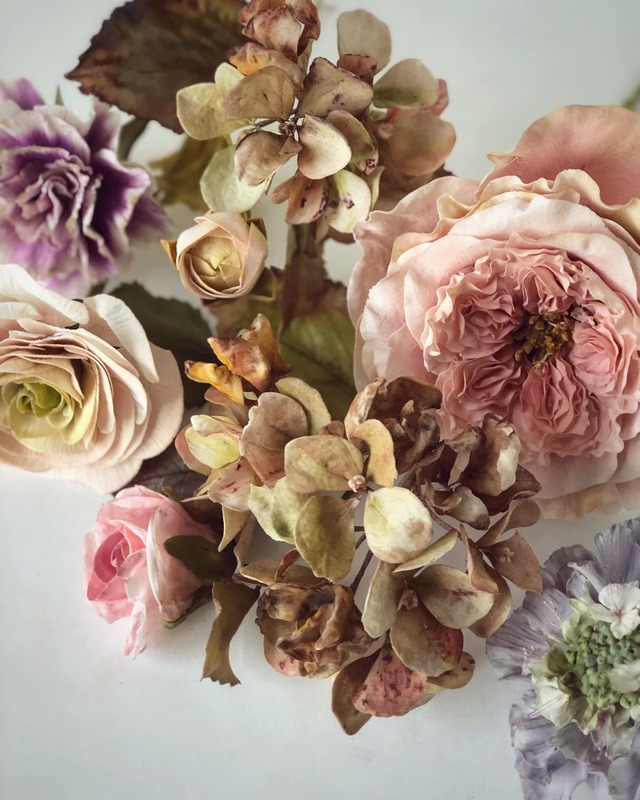 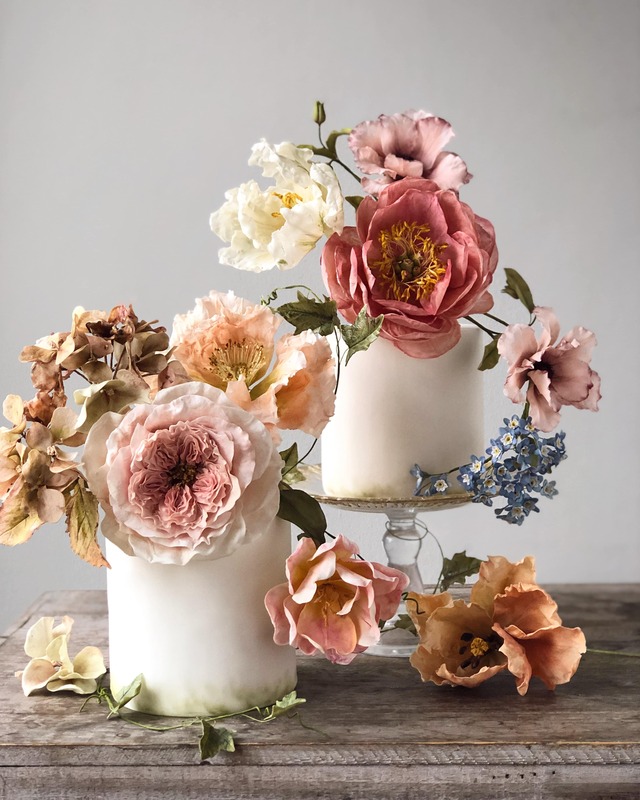 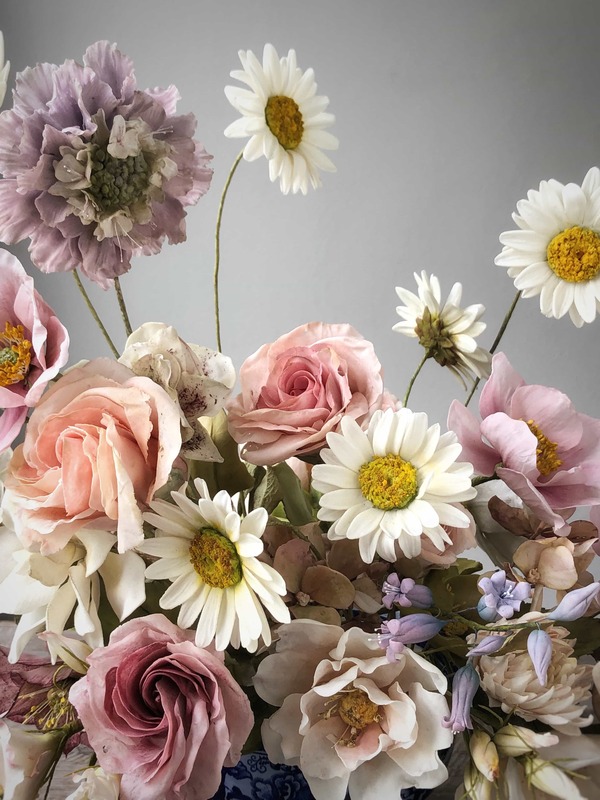 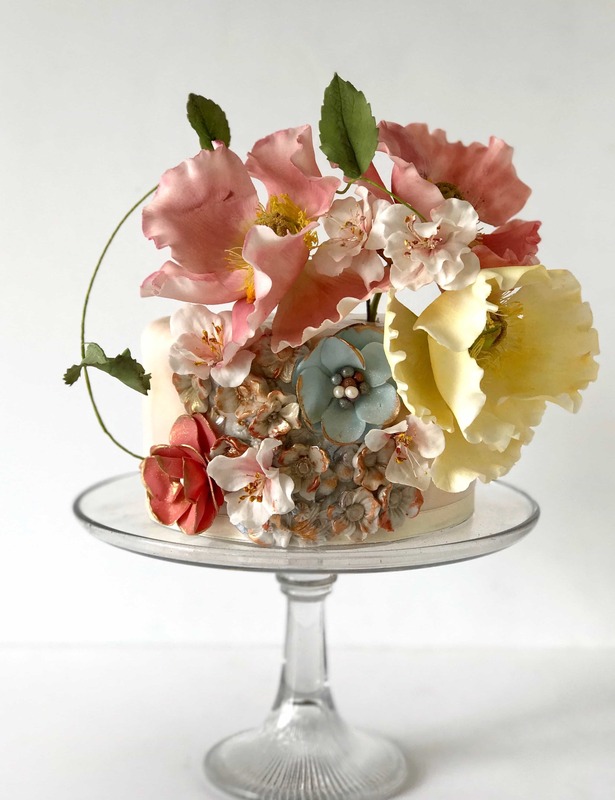 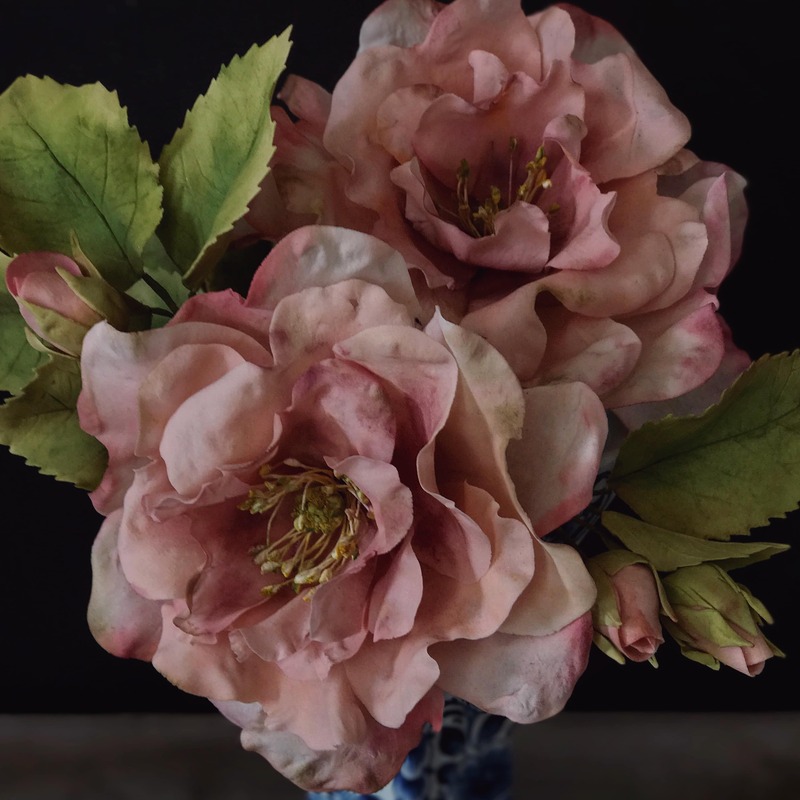 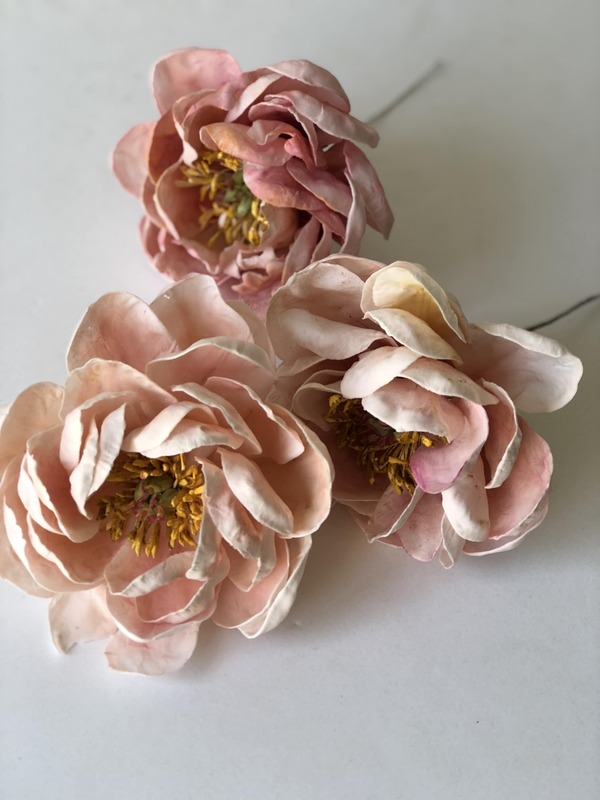 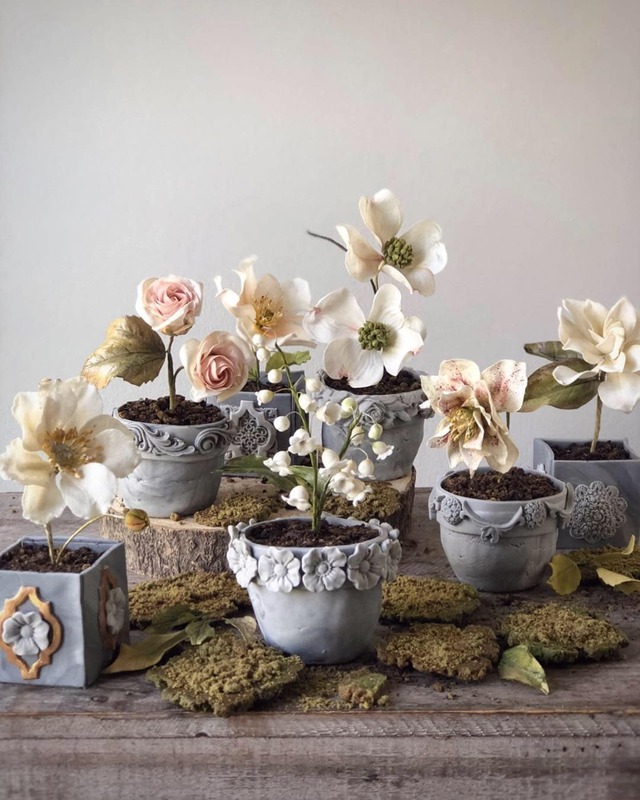 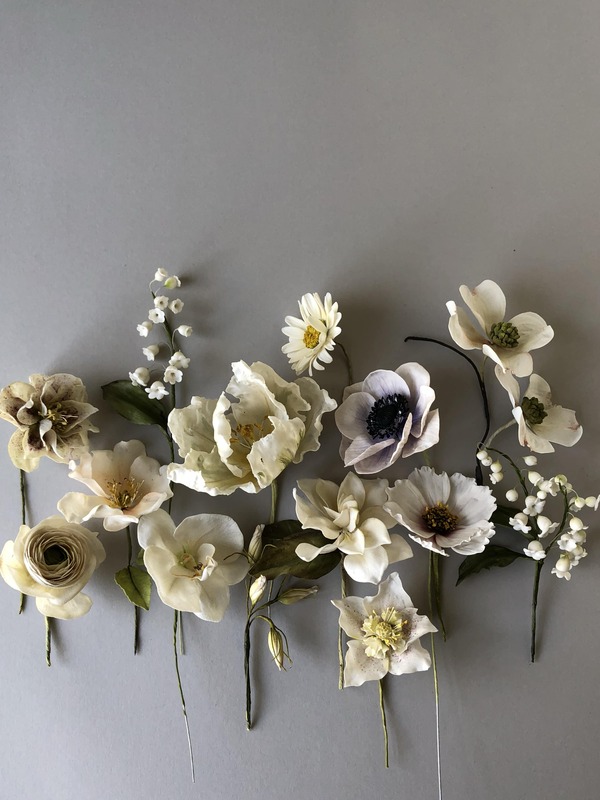 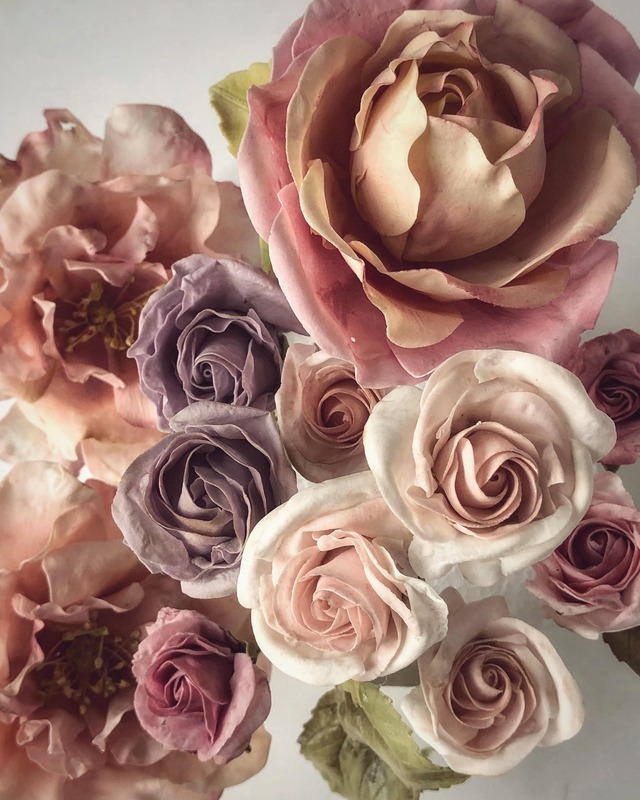 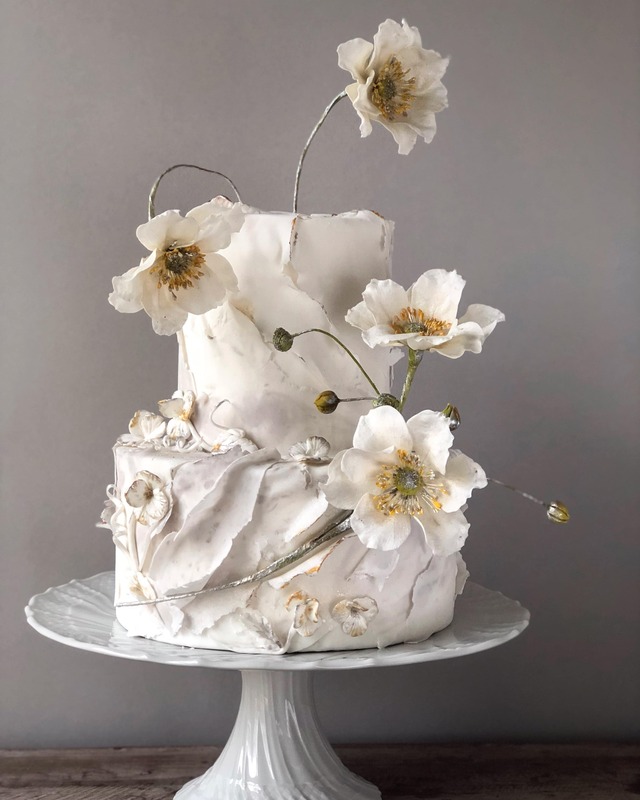 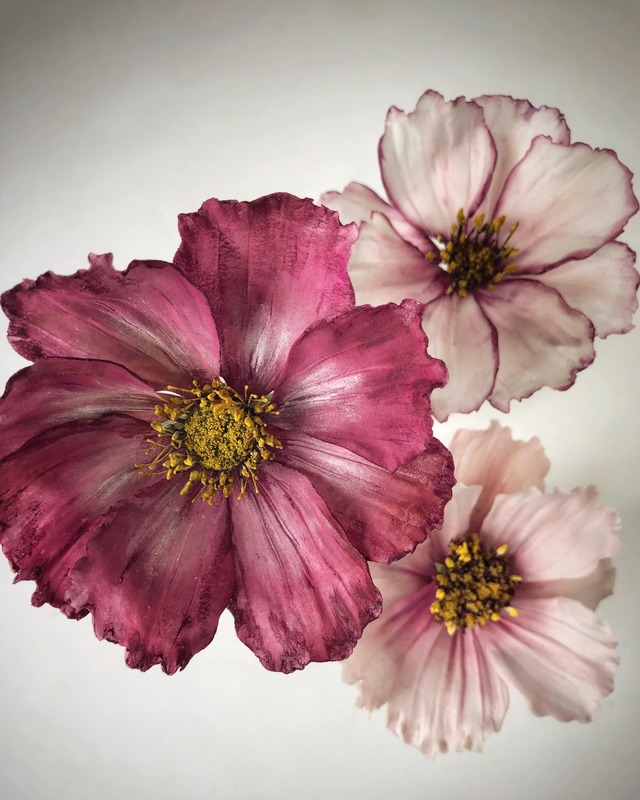 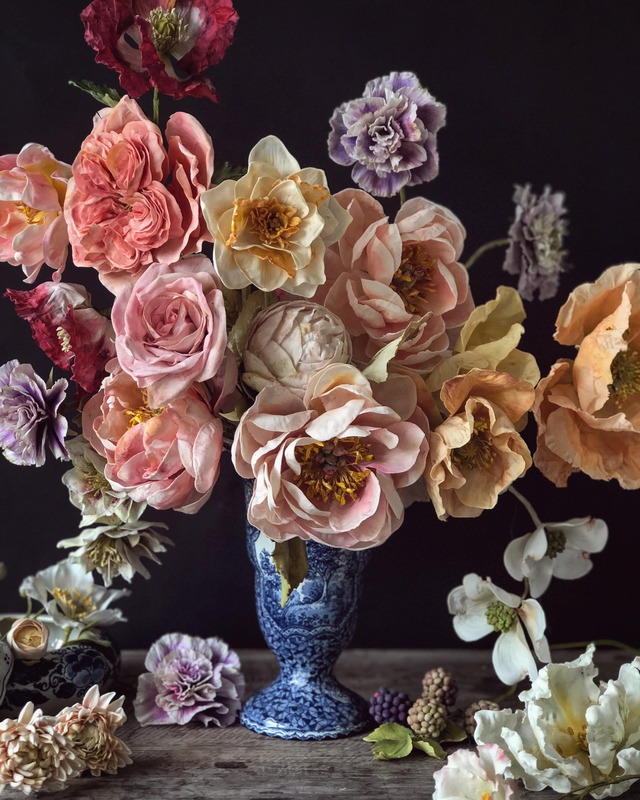 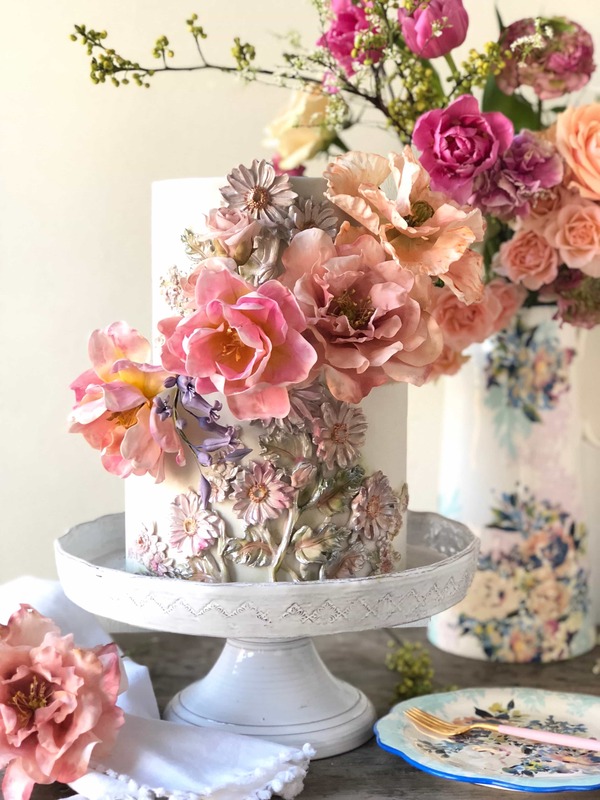 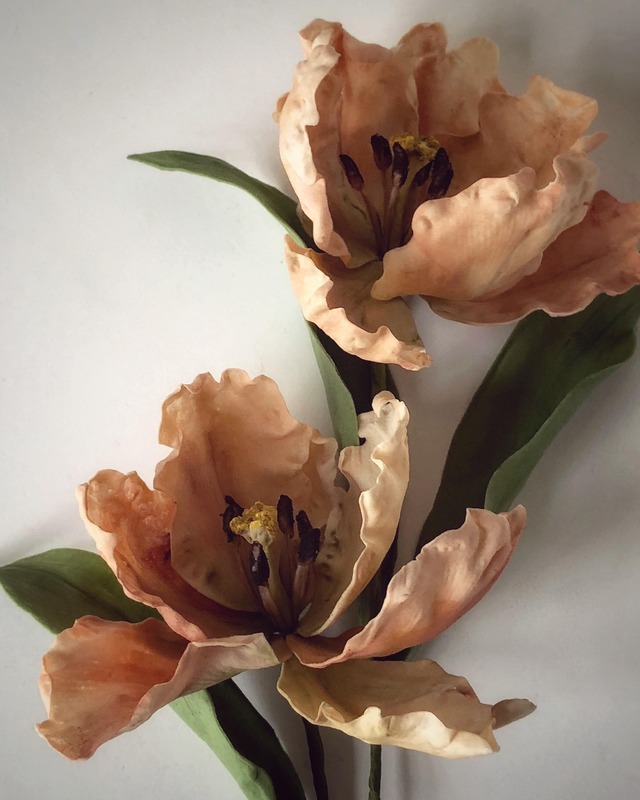 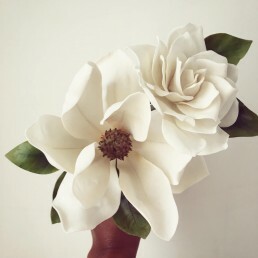 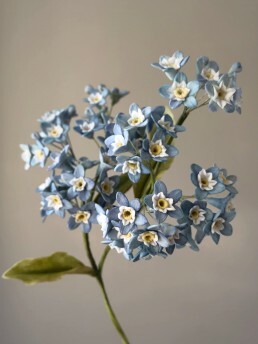 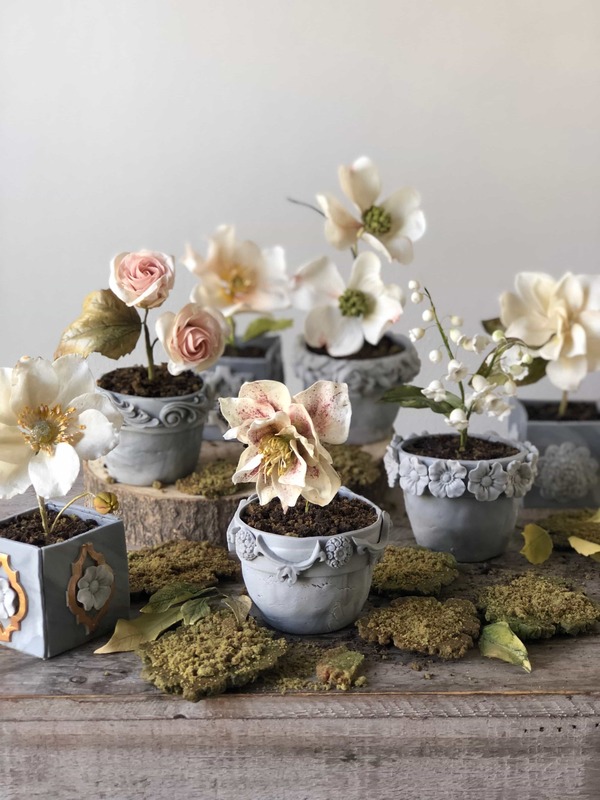 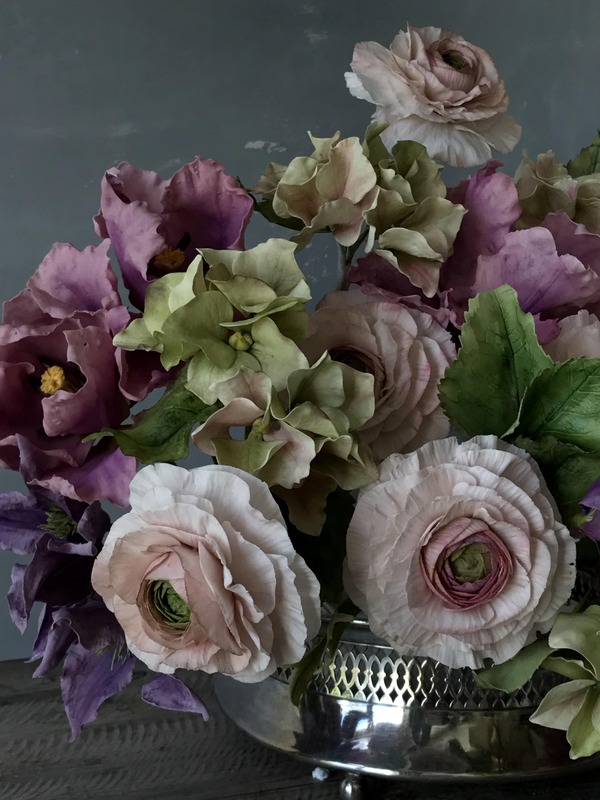 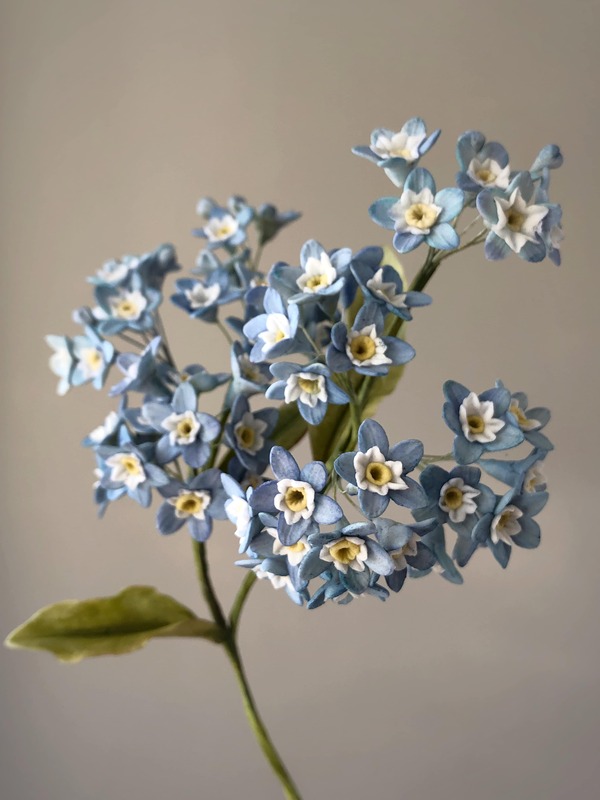 With the cake serving as the ‘grand piece’ to mark a special occasion, my sugarflowers become sweet mementos that can be displayed and treasured forever. 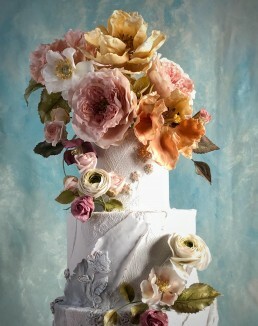 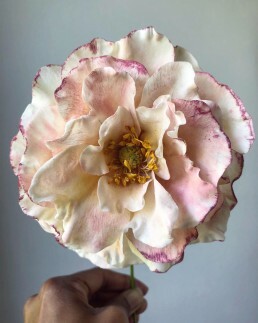 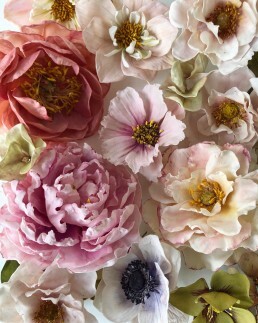 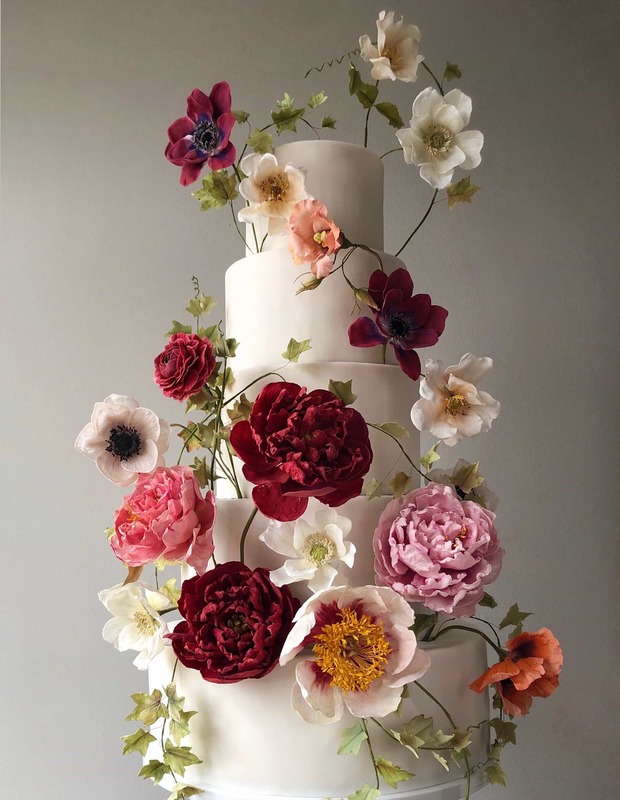 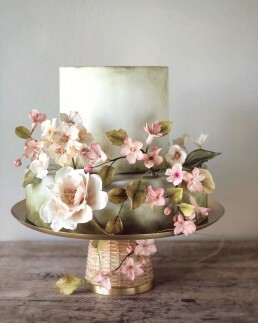 For cake and sugarflower commissions, we will start the design process with a one-on-one creative consultation. 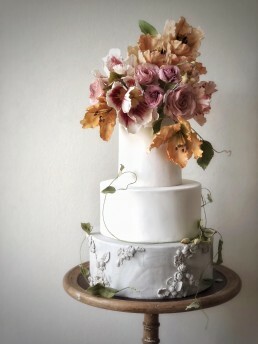 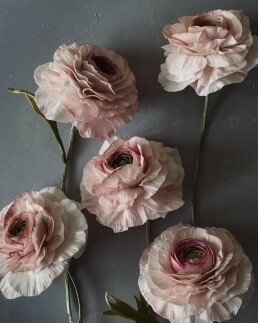 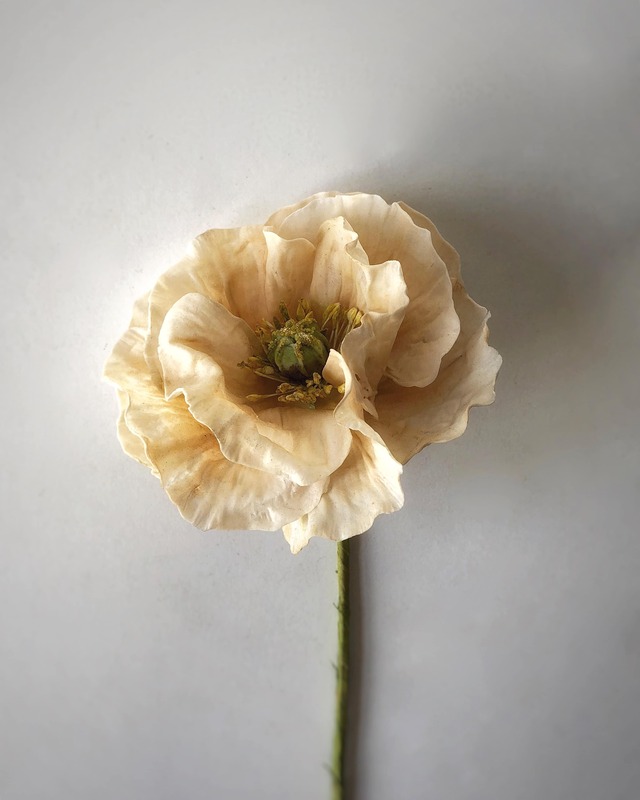 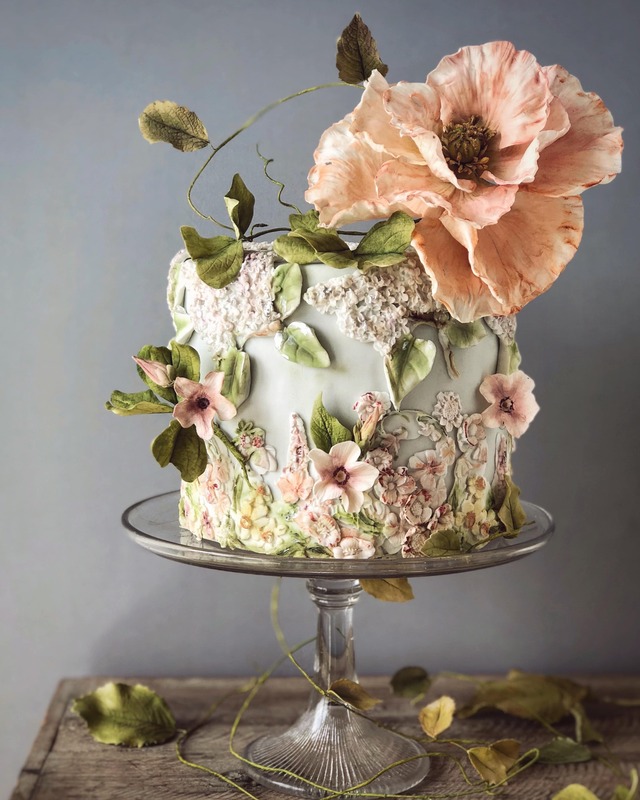 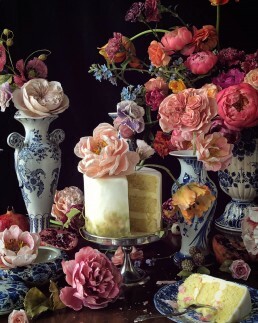 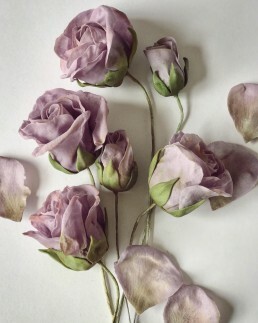 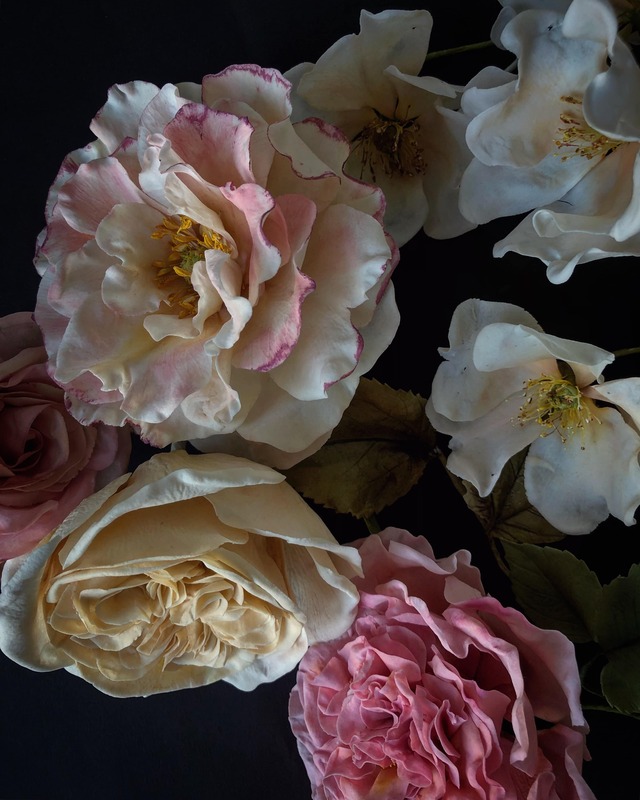 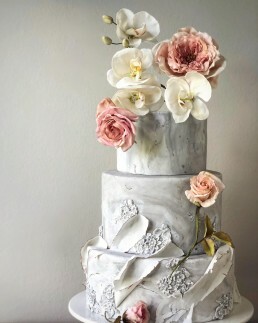 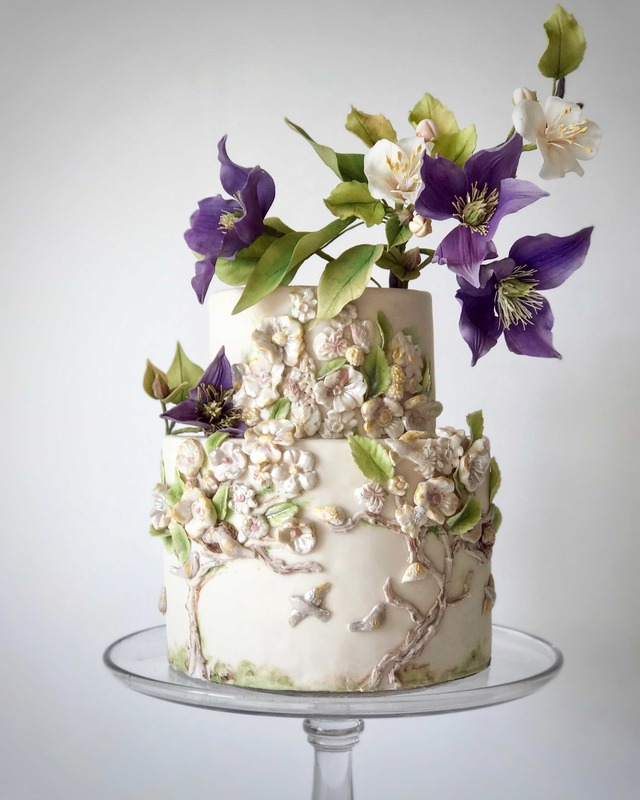 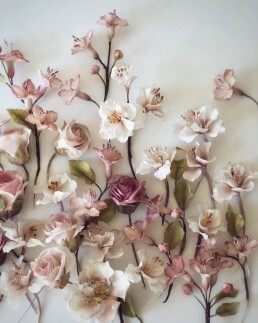 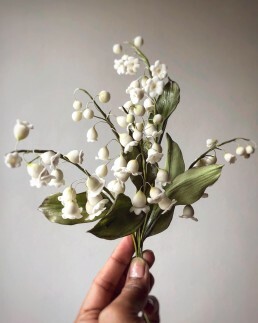 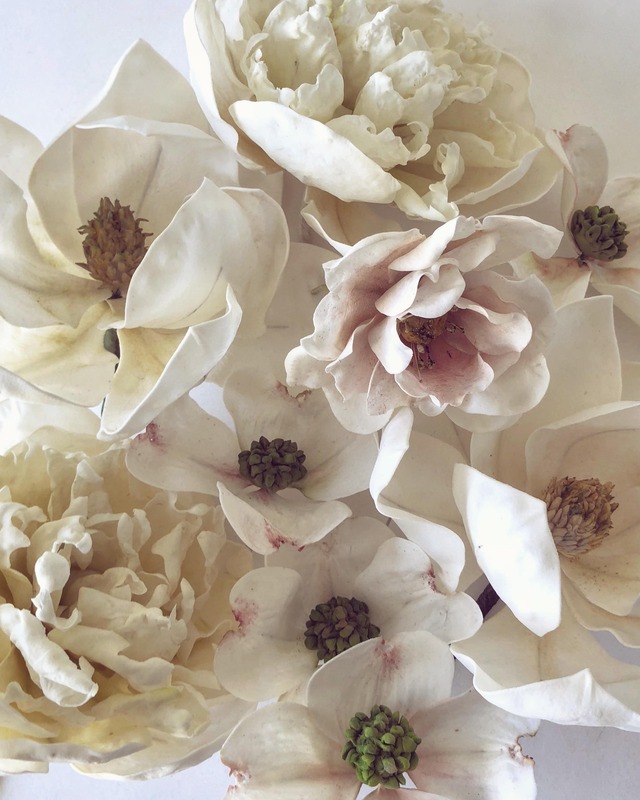 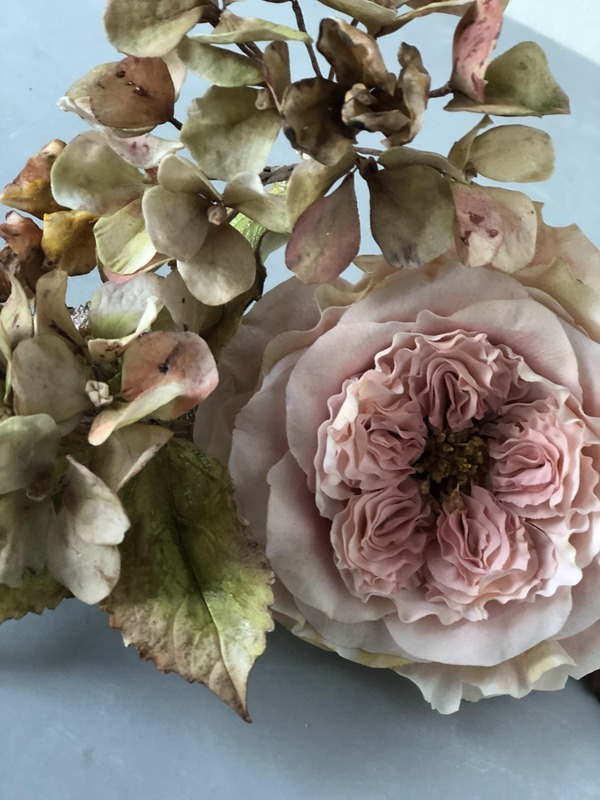 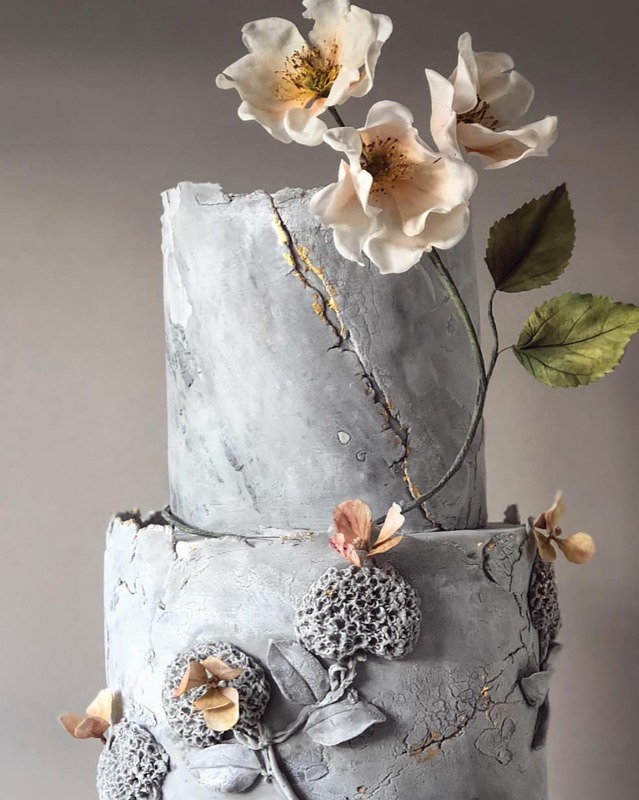 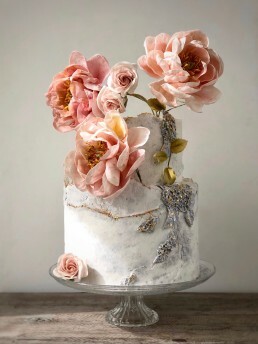 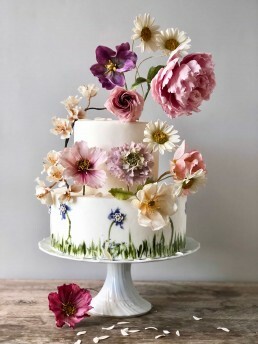 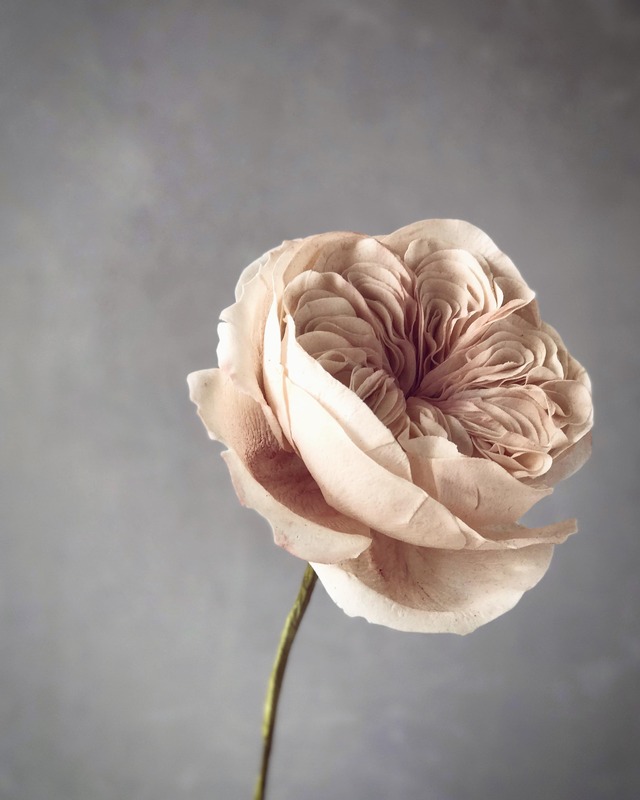 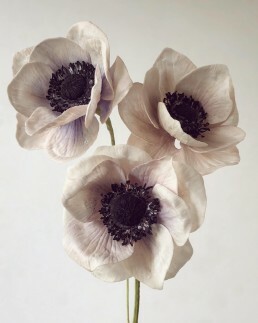 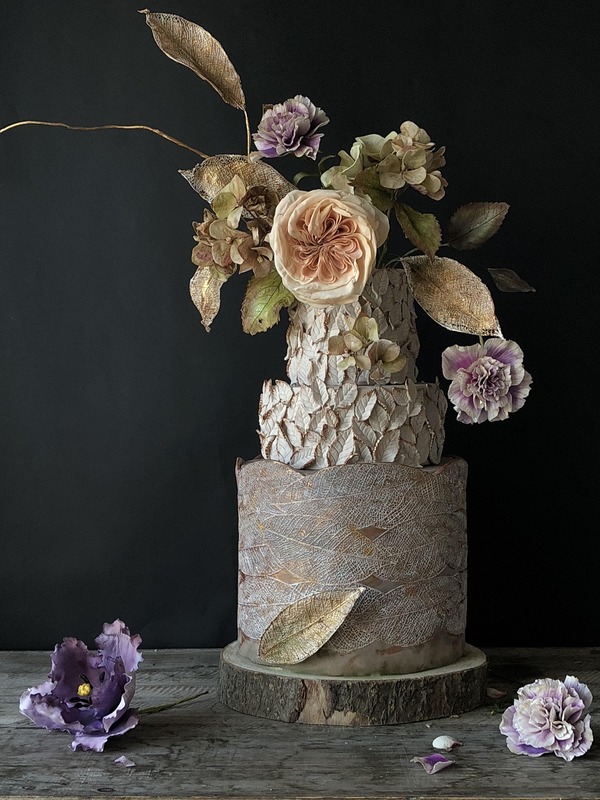 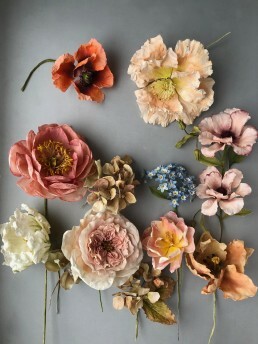 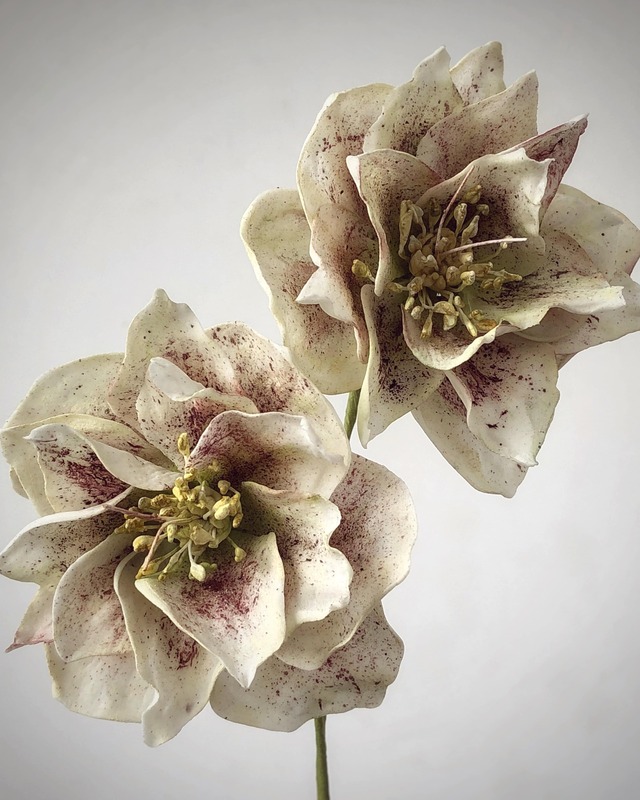 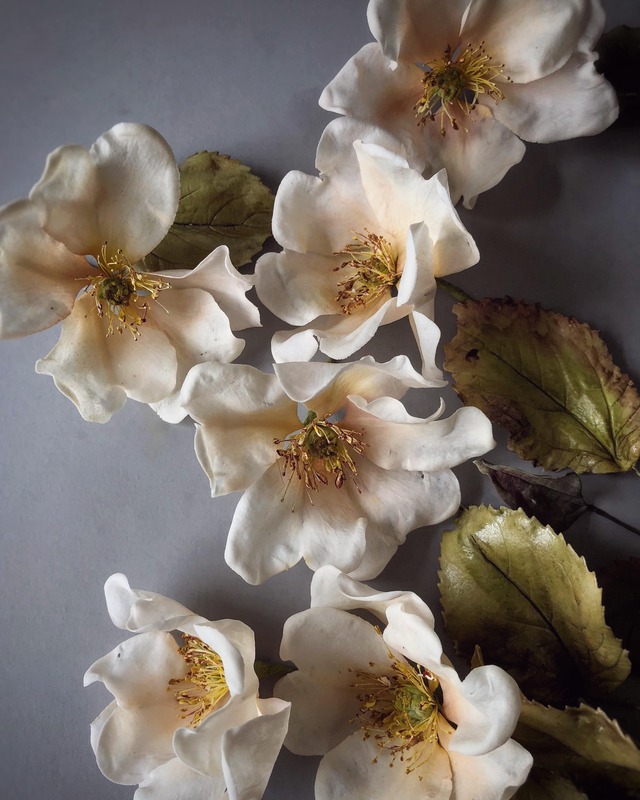 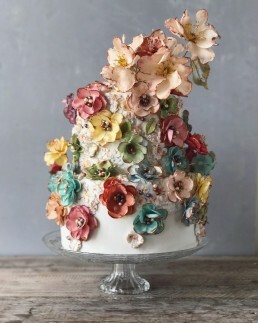 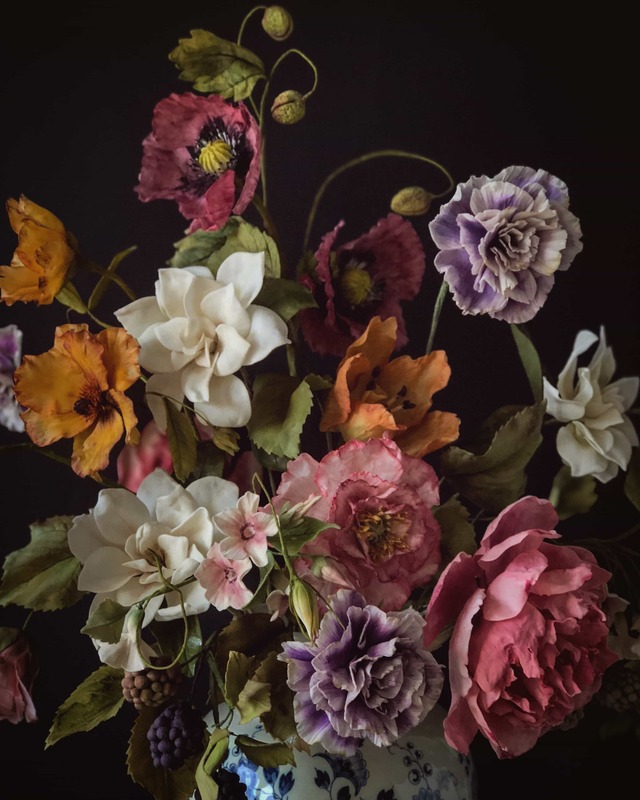 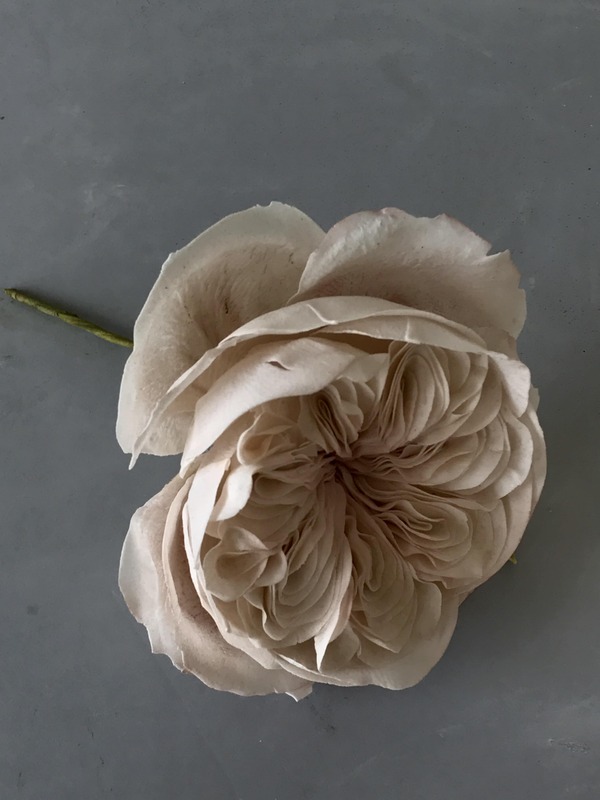 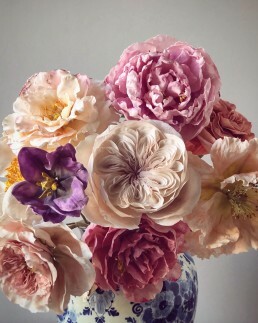 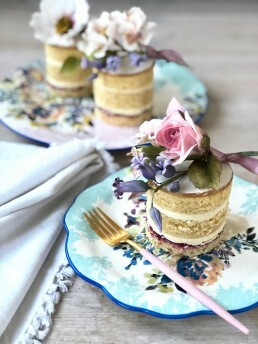 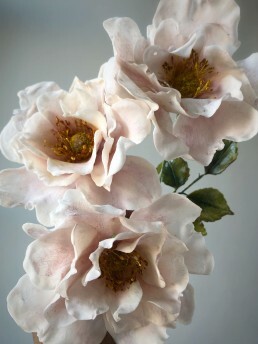 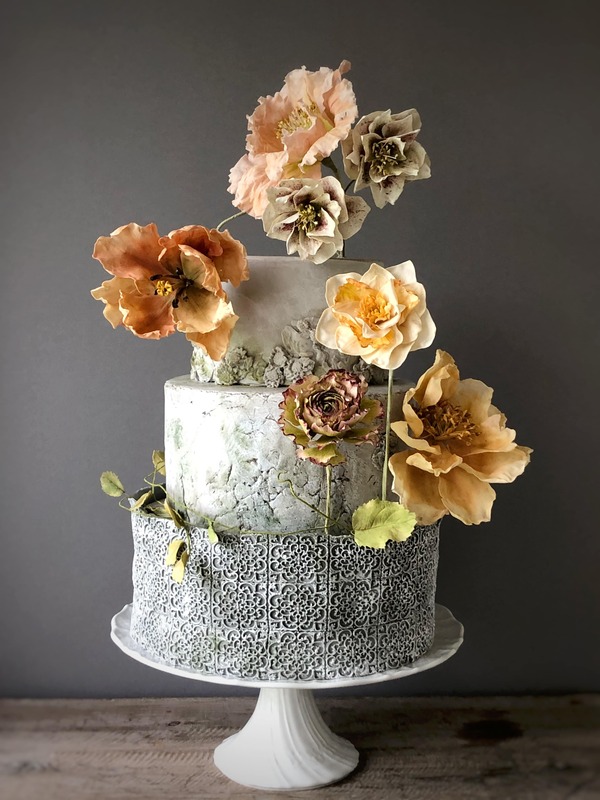 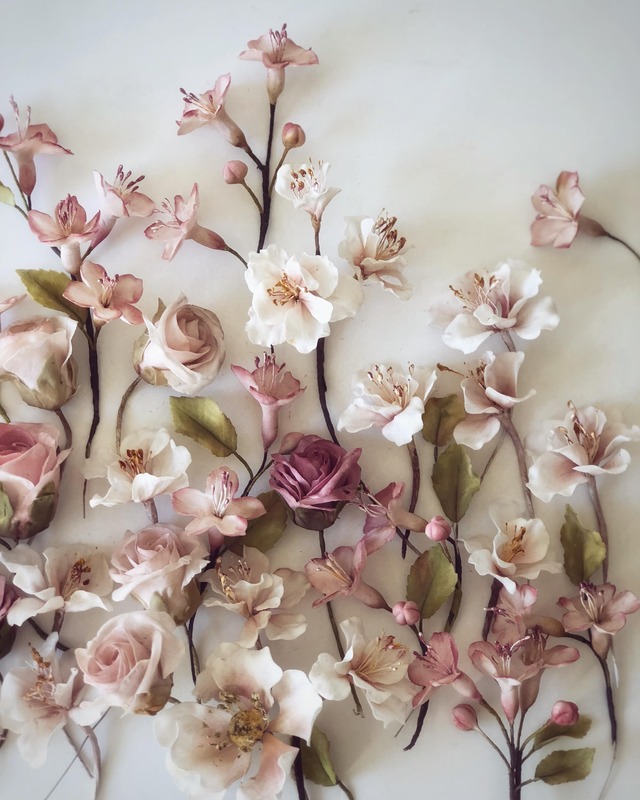 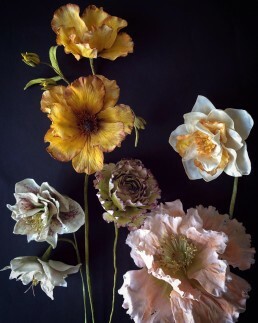 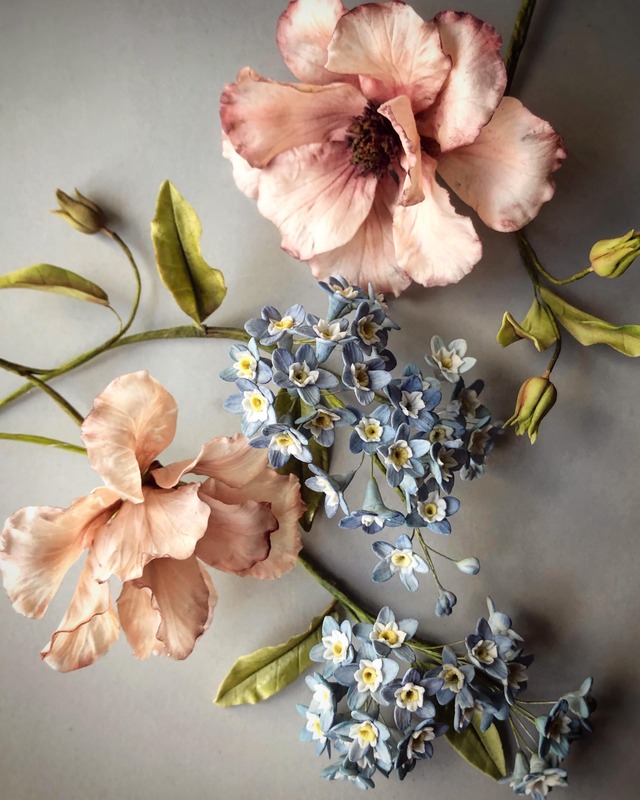 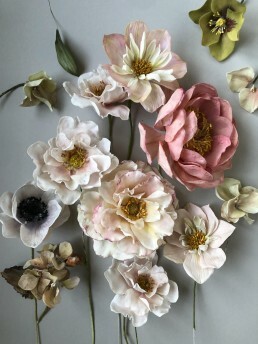 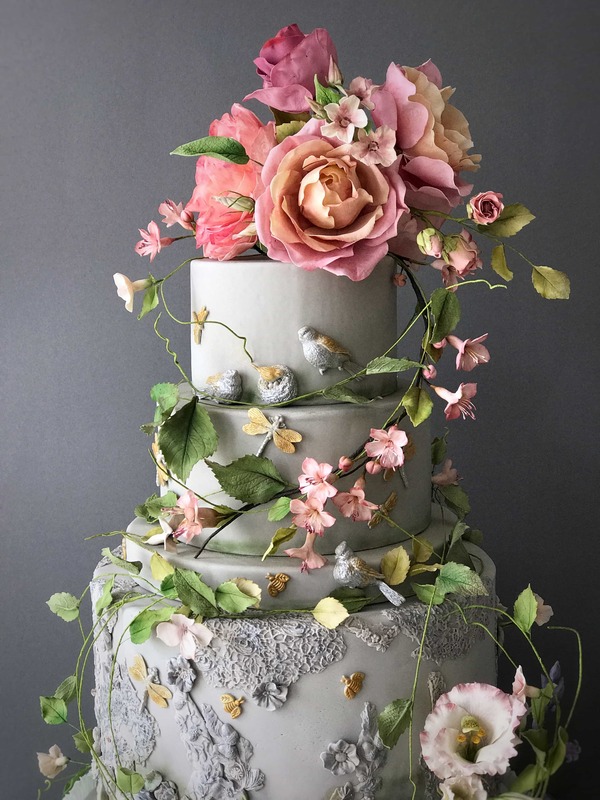 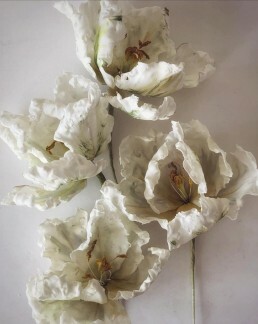 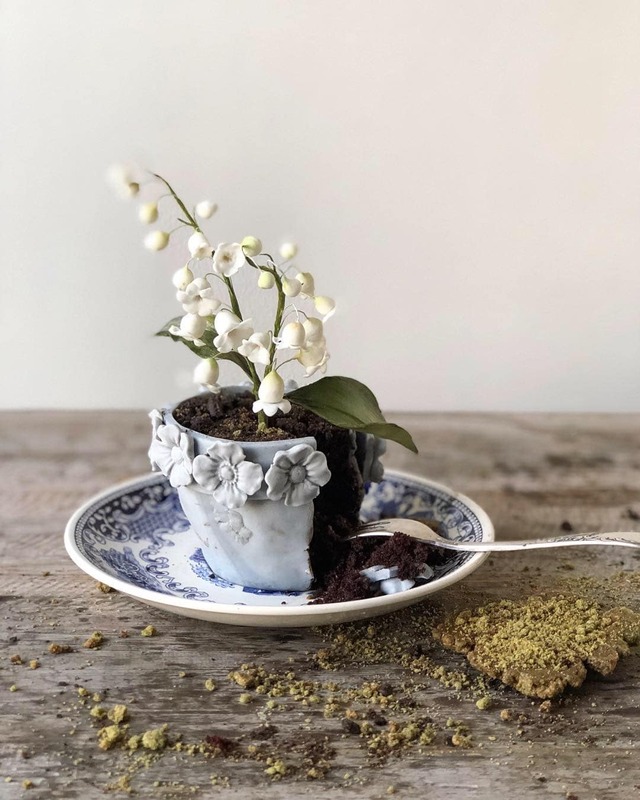 To define the details such as flavour (for cakes), design aesthetics (both for sugarflowers and cakes) and to connect. Locations permitting, the consultation session is possible to do via phone, video-call, email or in person on request. 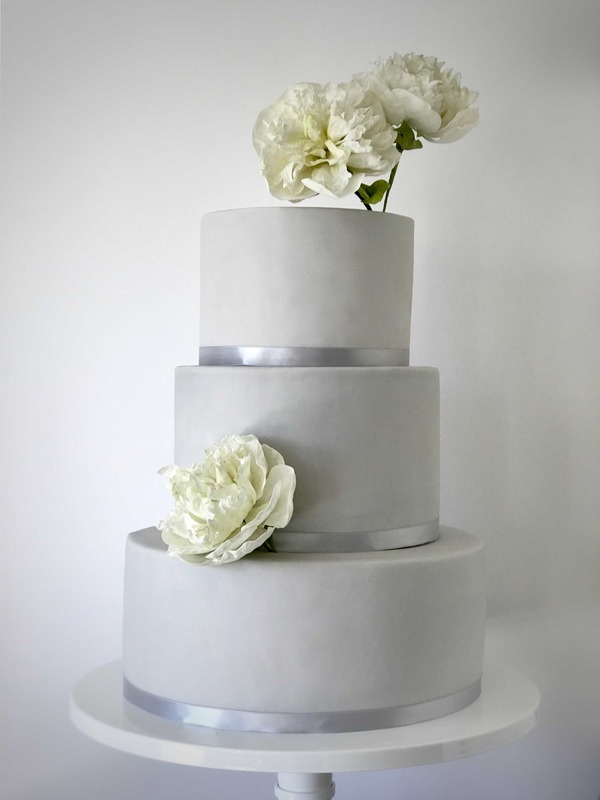 During this consultation I will aim to inspire you with surprising yet harmonic design suggestions and flavour combinations. 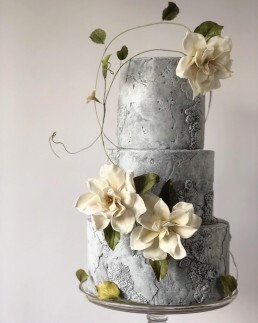 Prices for cakes begin at €1100. 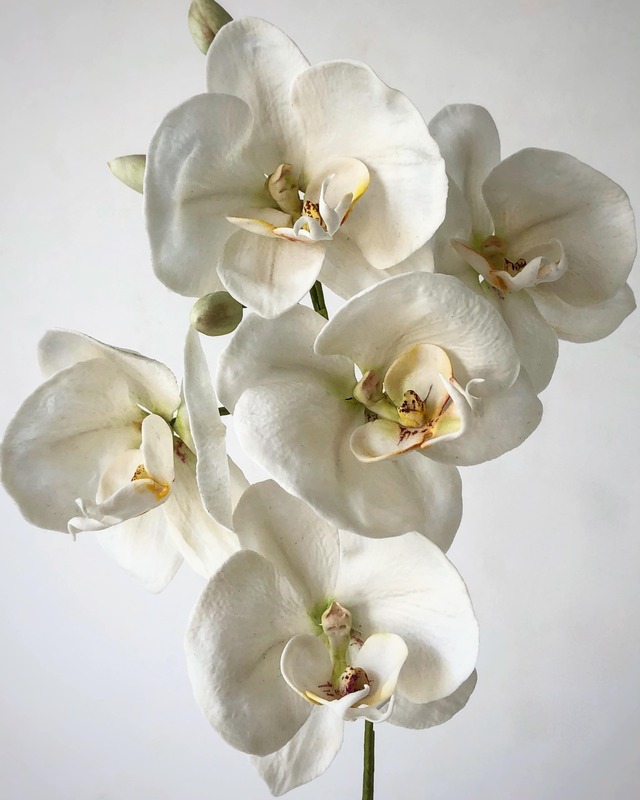 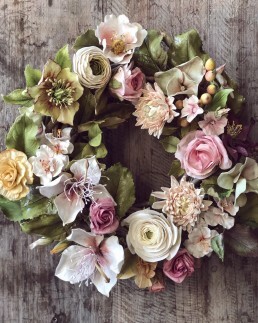 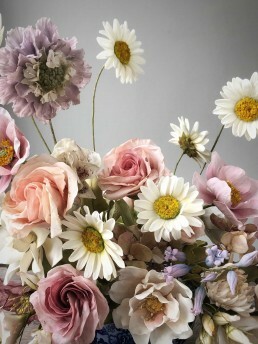 Sugarflowers can be also be ordered separately starting at €950 for a minimum order of a sugarflower arrangement. 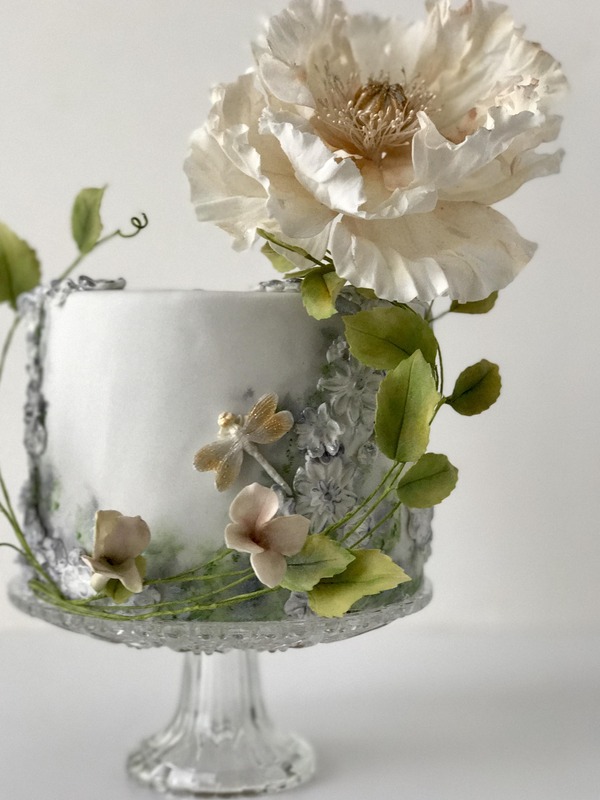 Private pick up or delivery only, as both my cakes and sugarflowers are very delicate and I’m currently still working on a safe way to ship. I am also available for destination weddings or events. 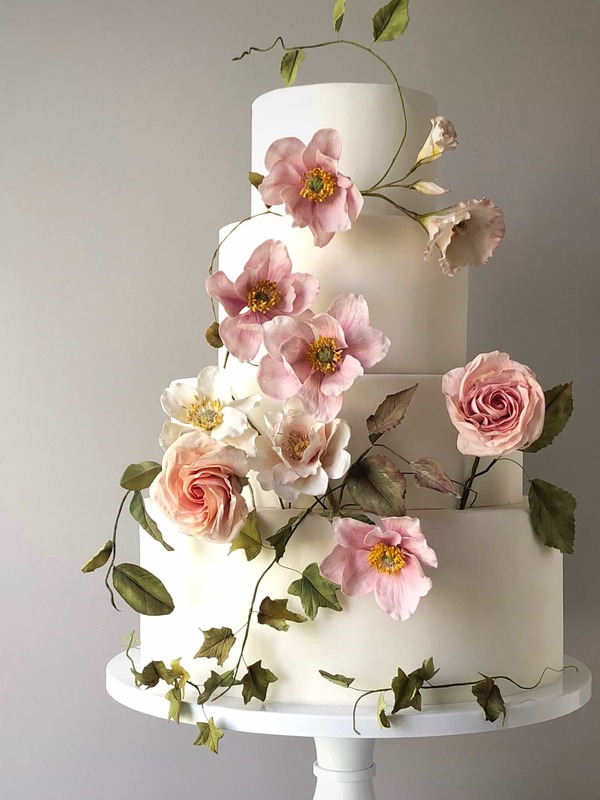 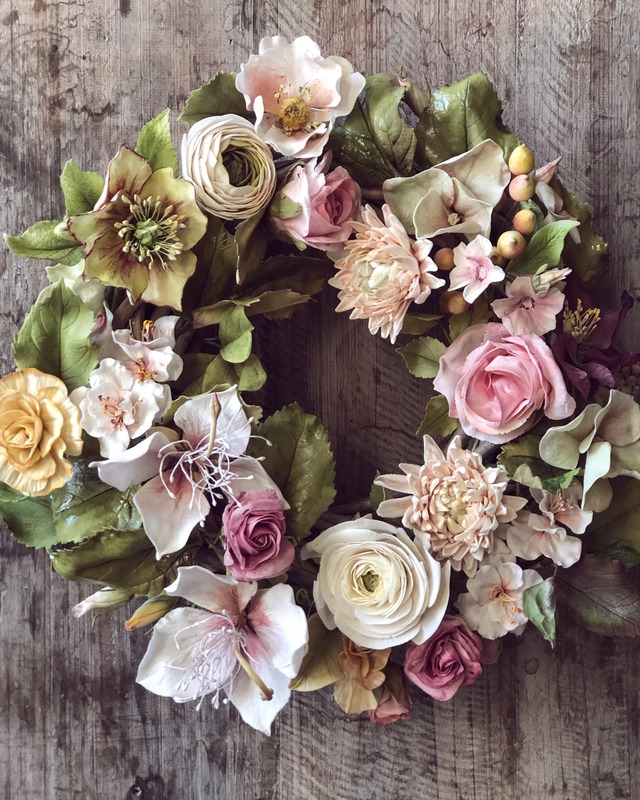 Getting to know my customers when sugarflower and or cake order enquiries are being made is very important to me; therefore don’t hesitate to tell me a bit more about you personally as well as your event when reaching out.